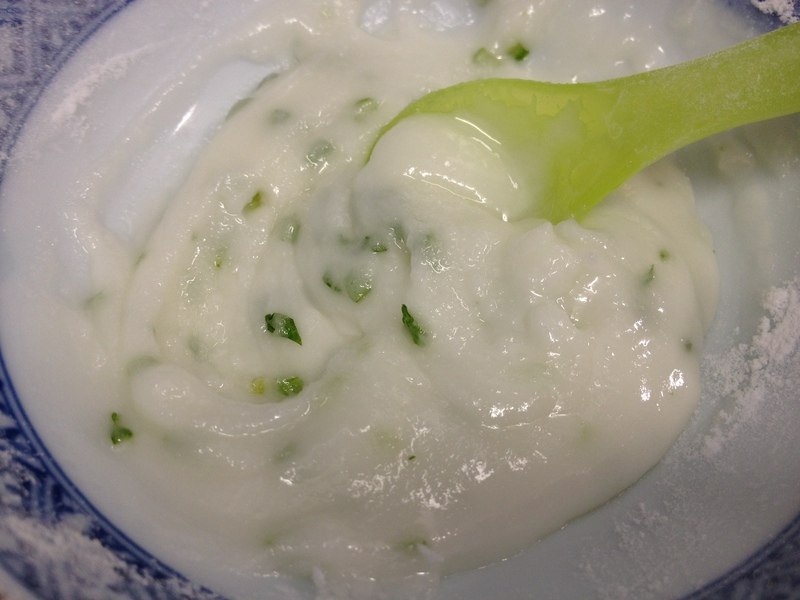 Technically, today’s recipe is not within my blog rules. It is not a recipe I owned/knew already but one I made up myself today. 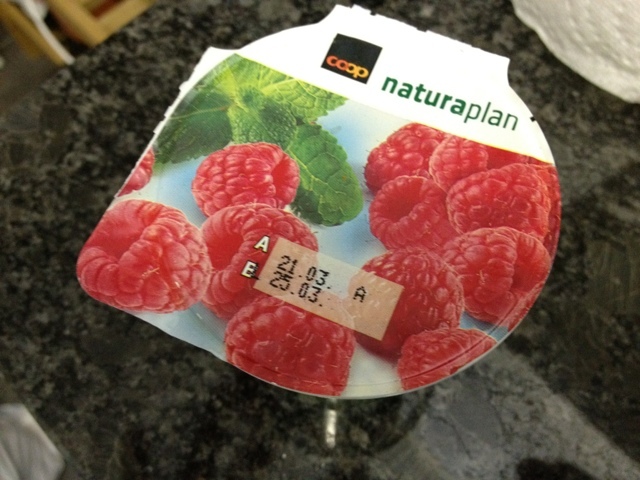 The inspiration came from a peppermint raspberry yoghurt I bought a couple of days ago. I had some leftover prosecco in the fridge that I infused with a bag of peppermint tea. 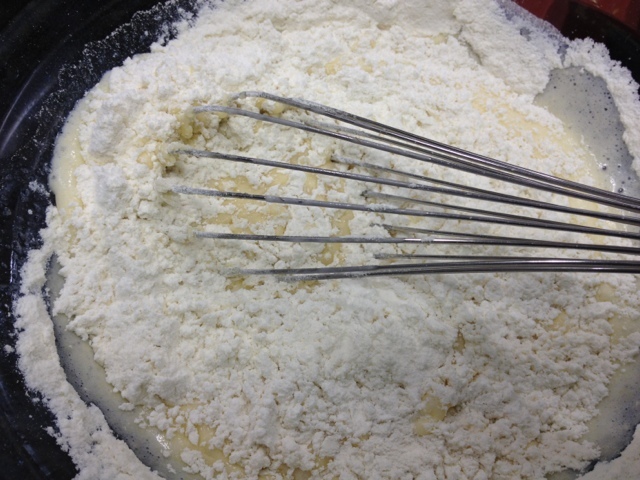 For the cupcake dough whip 125g sugar and 80g butter until smooth. Add 2 eggs. Then add about 2dl liquids. 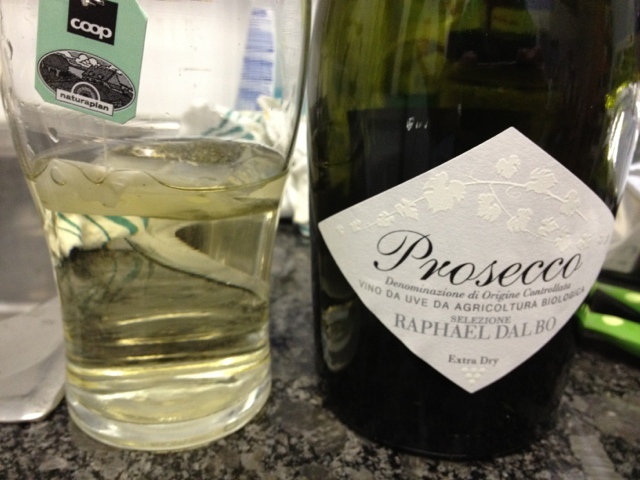 I added 1dl of the yoghurt and 1 dl of the peppermint prosecco. In a separate bowl mix together 250g flour, 1/2 packet of baking powder, a pinch of bicarbonate of soda and a pinch of salt. 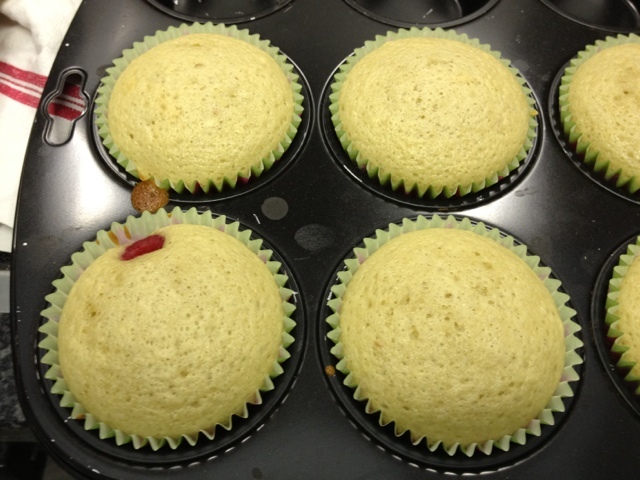 Add the liquid mix and fill into a cupcake tin. 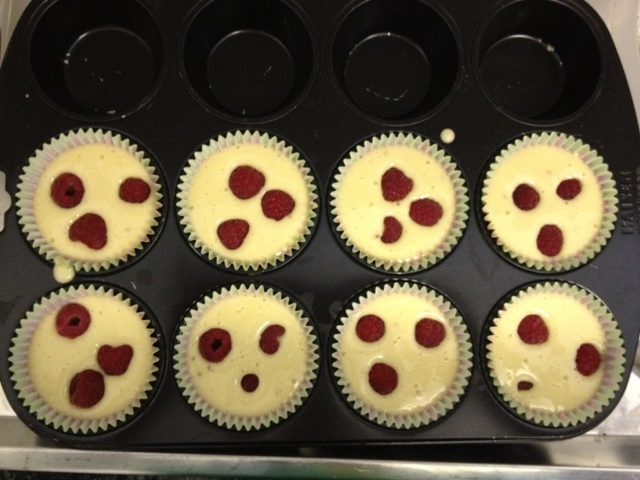 Put 3 fresh raspberries into each cupcake. Bake in the oven at 180 degrees Celsius for about 15-20 minutes. For the frosting, thinly cut some peppermint leaves. Mix lemon juice and icing sugar and add the peppermint. 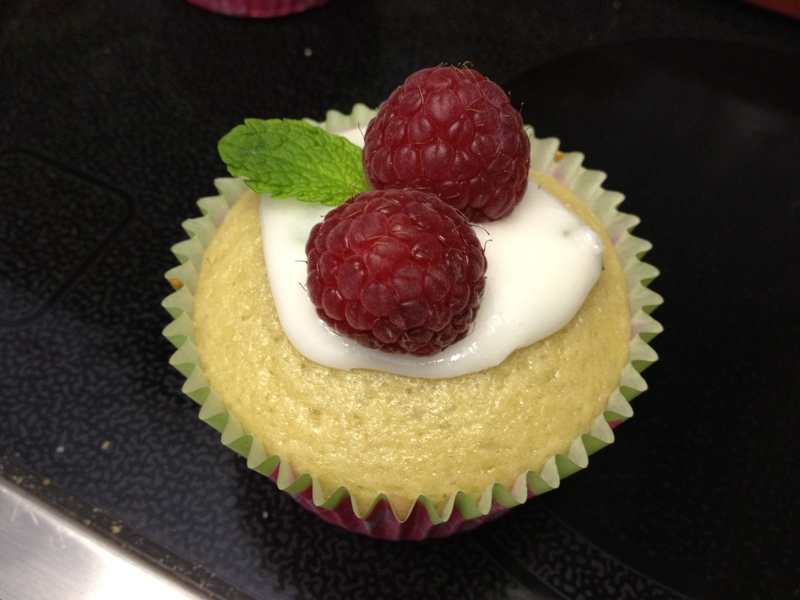 Frost and garnish the cupcakes with the icing, a peppermint leave and 2 raspberries.